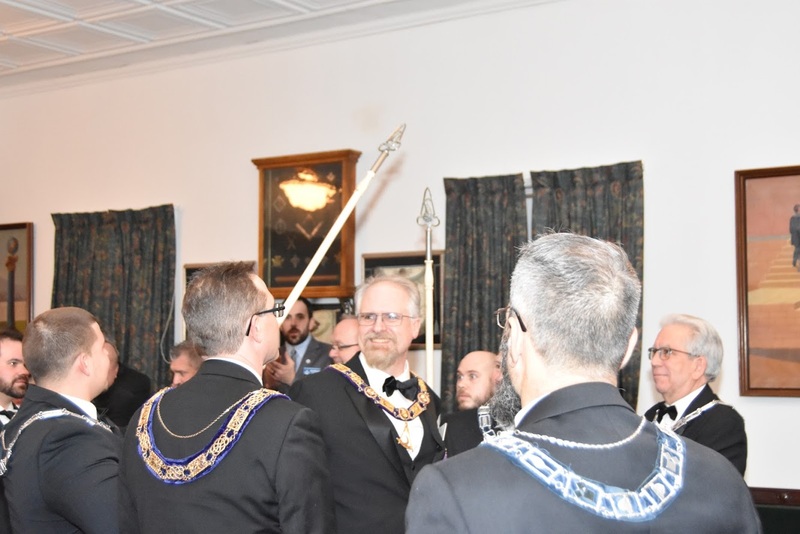 Right Worshipful Howarth and his suite being received into Trinity Lodge. 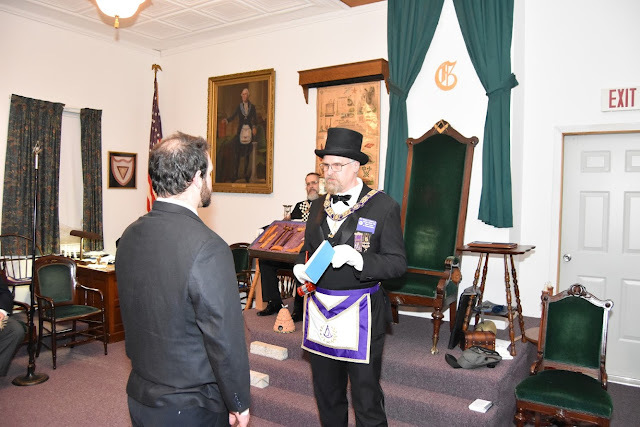 Right Worshipful Richard Howarth educating Bro. Matthew Ryan Schwall and recommending all brothers to sign his latest gift. Right Worshipful Richard Howarth and his suite, Bro. 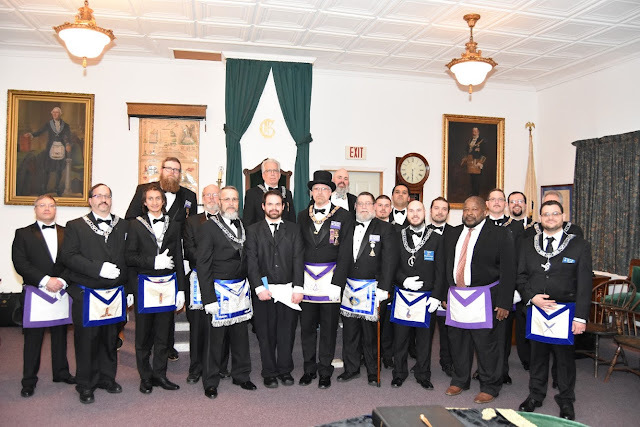 Matthew Ryan Schwall Worshipful Robert Aggas, and members of Trinity Lodge.